The last surviving bud of a planet-spanning fungal colony, the otherworldly Miko is regarded as a capable "combat botanist", healing and protecting its allies while hurling poison-tipped kunai at pretty much everything else. Throw a spore sack that explodes on contact, dealing damage and leaving behind a cloud of spores that slows all enemies that enter it for a limited time. Miko gains health over several seconds. During that time, Miko's healing beam grants increased health. Hurl a mushroom to create an area of effect lasting for a limited time. Allies gain health per second while in range. Can be destroyed by enemies. 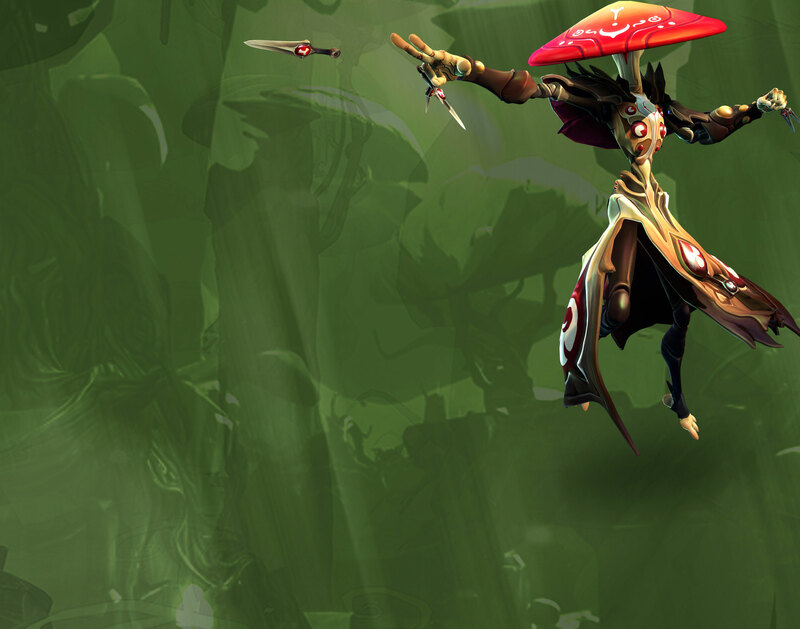 Miko's kunai poisons enemies on impact, dealing damage over time. While Biosynthesis is active, healing an ally with Miko's heal beam causes Miko to move faster. Reduces cooldown time across all skills. 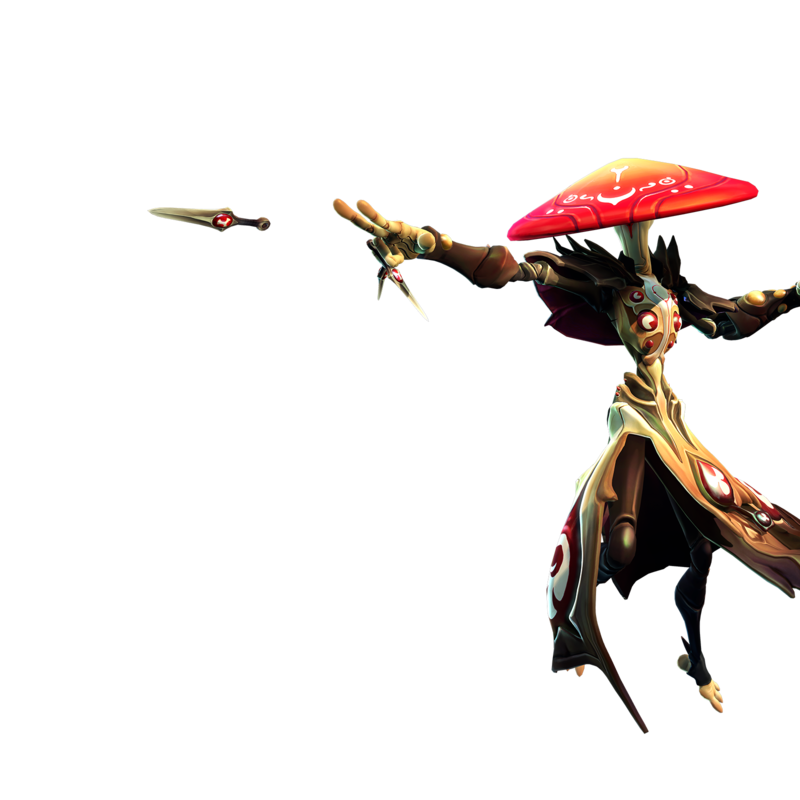 A portion of damage dealt to enemy health by Molecular Mycology is returned to Miko as health. Increases all self healing effects of Biosynthesis. Briefly increases movement speed when taking damage. Using Miko's heal beam on allies reduces Biosynthesis' cooldown, allowing more frequent usage. Fungus Among Us can withstand much more damage before being destroyed. Intensifies the slowing effect of Cloud of Spores. Increases the reload speed of Miko's Kunai. Increases Cloud of Spores' impact damage. Increases the firing rate of Miko's Kunai. Increases the duration of Biosynthesis' effects. Cloud of Spores lingers longer after bursting. Fungus Among Us deals damage over time to enemies in range.